The macho and easy way to make golden eggs. 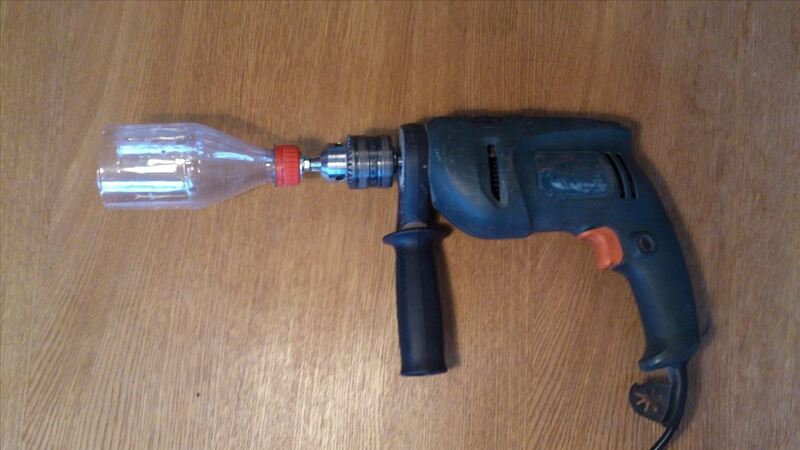 How to scramble eggs inside their shell useing a drill. AKA Fuwatoro Eggs. 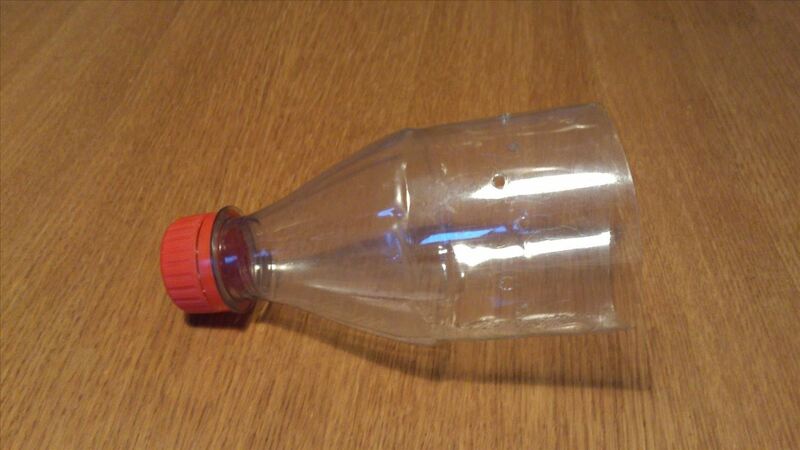 You need a 0.5 liter plastic bottle. Cut it in half and drill some holes in it. 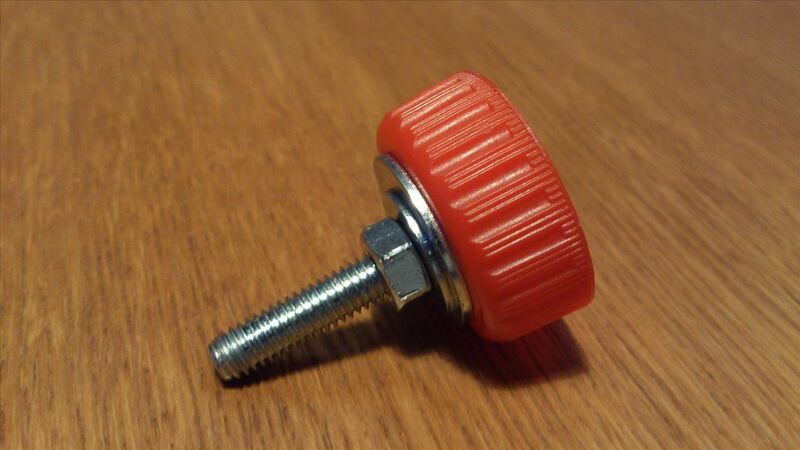 Drill a hole in the cap. You need a bolt, some washers and a nut. 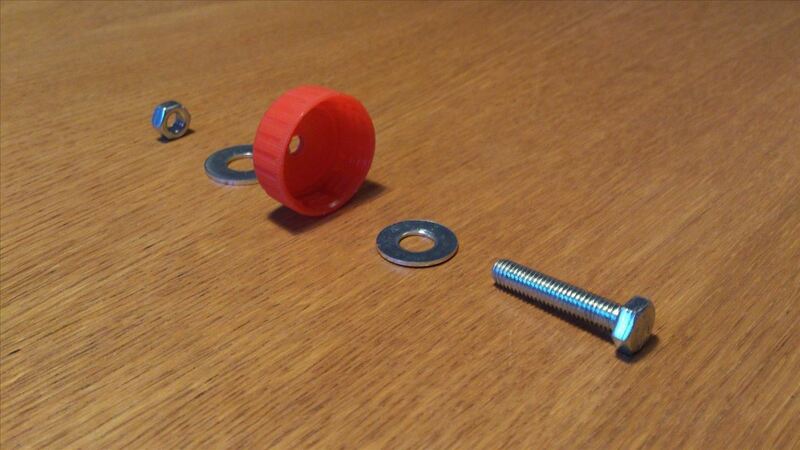 Assemble the parts and tighten the nut. Screw the cap on to the bottle. Mount it on a drill. 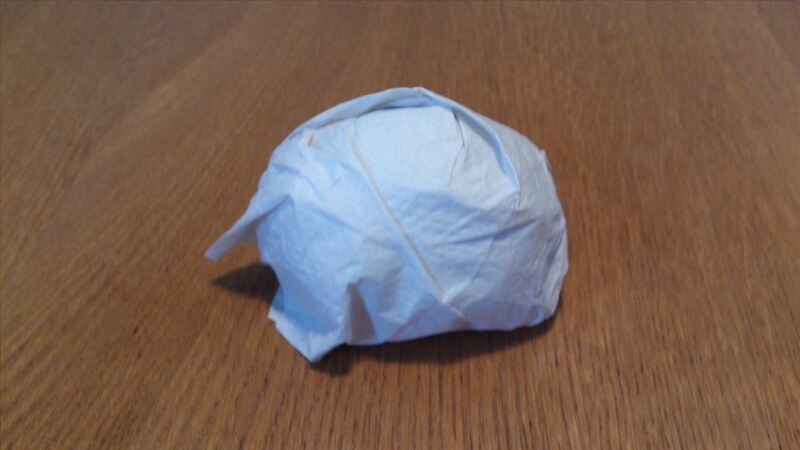 Wrap an egg in toilet paper. 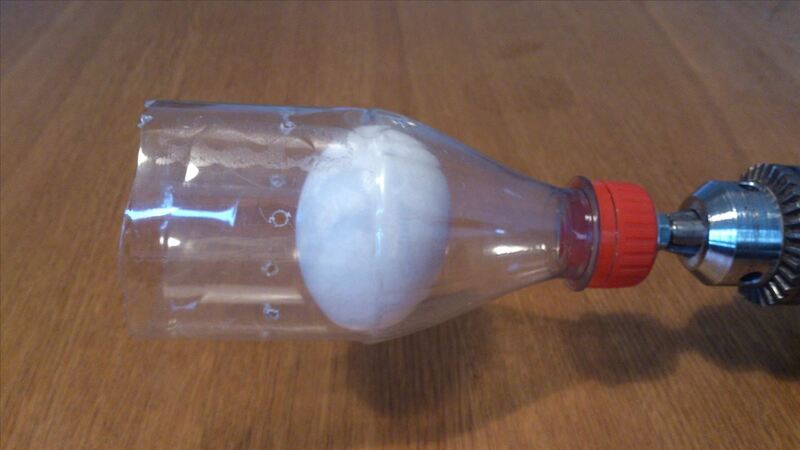 Insert the egg in to the bottle. It should be pointing like this. 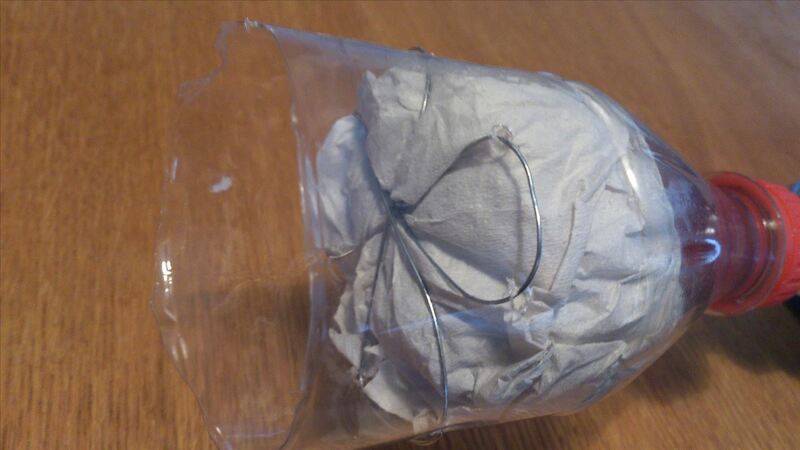 Use wire to prevent the egg from falling out of the bottle. Run the drill alternately forwards and reverse. Repeat between 5-15 times. Check if it´s ready by holding it to a light in a dark room. 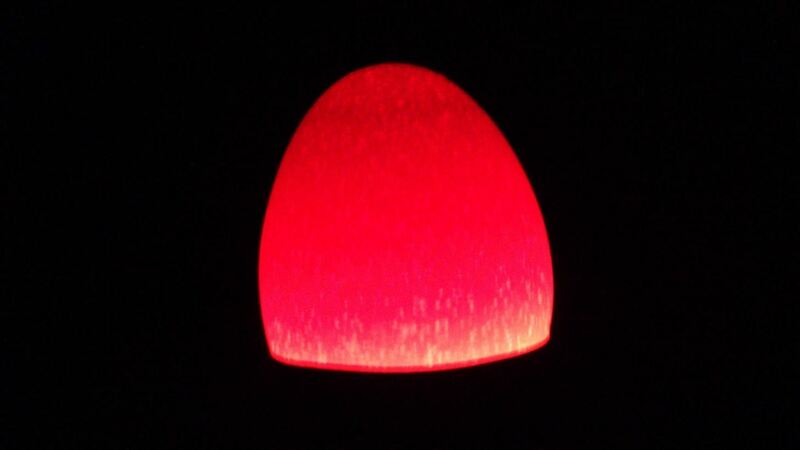 A proper scrambled egg glows with red color. Be careful when boiling the egg. Raise the temperature gradually. When bubbles start forming on the shell, turn the stove off and let the egg sit in the pot for 15 minutes. Let the egg cool in a bowl of cold water.